Matching mug and coaster set featuring the encouragement taken from Psalm 139:13-14. ‘For you formed me in my inmost parts. You knitted me together in my mother’s womb. 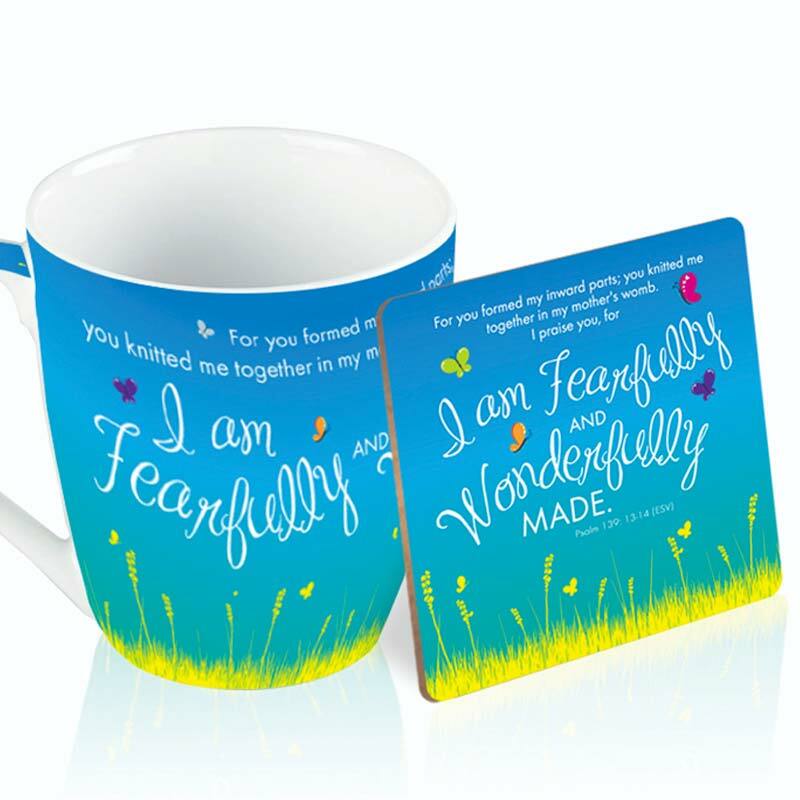 I am fearfully and wonderfully made.’ Porcelain mug with matching coaster and individual box. Mug 10.5 cm x 8.5 cm.